E H Reynolds & Son provide a team of fully qualified building contractors in for all building projects. Our building contractors have a wide range of experience dealing with everything from small alterations to complete new builds. We want to help every client create their dream property and with our building contractors, this can always be achieved. Whether you choose to design new build properties yourself or hire an architect, we will always pay great attention to detail of your design brief, including all features and details in the final design. Our team will assist you throughout the whole project, ensuring we understand your design before beginning construction. As we complete a range of construction services, our building contractors in can include any feature you would like within the property. E H Reynolds & Son have been established since 1946 and with an experienced and dedicated team, we are well equipped to complete any projects in . Our building contractors always prioritise customer satisfaction, ensuring that your expectations are always met with the quality of work we complete. Since we were established, we have always worked throughout , ensuring clients here have a team for all property construction work. 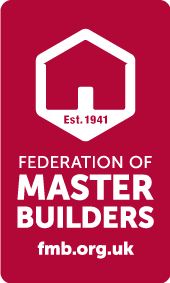 We are part of the Federation of Master Builders and NHBC Registered making us a dependable team for all clients in . Our aim is to become the first choice building contractors in , providing completely bespoke construction to ensure your dream property can be achieved through new builds or property renovations. If you would like to hire building contractors in , do not hesitate to contact our team. We will provide a quick response to discuss your construction needs and the property design you would like. Call E H Reynolds & Son today on 01326 563611 or 07887 600414 or fill in our contact form to make an enquiry.